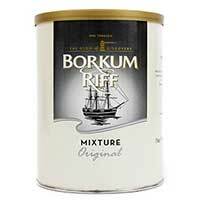 Borkum Riff Pipe Tobacco has been around since the 1960s. This specific brand of pipe tobacco was first produced by Mac Baren exclusively for Sweedish Match. But now all of its production is handled by STG’s Orlik factory. The brand was named after a lighthouse in the Helgoland Bay in the North Sea in 1962. 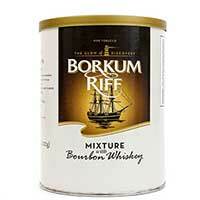 Then in 1969, the Borkum Riff Whiskey was imported to the States for the first time, which only helped popularize their aromatic tobaccos. 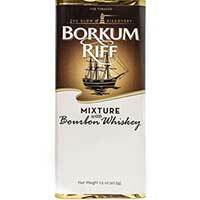 But one this is for sure – the original mixtures that first put the brand on the map haven’t been changed! 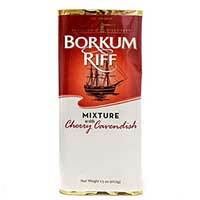 Fans continue to buy Borkum Riff Pipe Tobacco because of its history and the fact that each product is made with quality tobacco blends that entice the taste buds and ignite one’s inner smoker soul. These Danish-products are filled with pleasing aromas that taste as good as they smell. 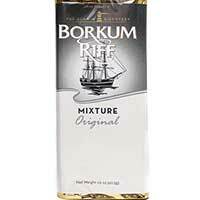 Each of Borkum Riff Pipe Tobacco aromatic blends is as good as the next. There are five different blend options, with each slightly tweaked to match the accompanying top flavor. There’s Black Cavendish, Bourbon Whiskey, Cherry Cavendish and Cherry Liquor. 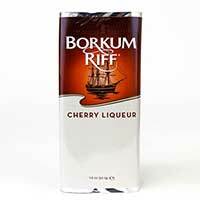 Expect an easy smoke at an affordable price when choosing Borkum Riff Pipe Tobacco!